If you’ve never grown your own veggies before, now’s the time to start. It’s cost effective, incredibly rewarding to see the fruits of your labour, and there are few things as satisfying as knowing exactly where your food comes from. 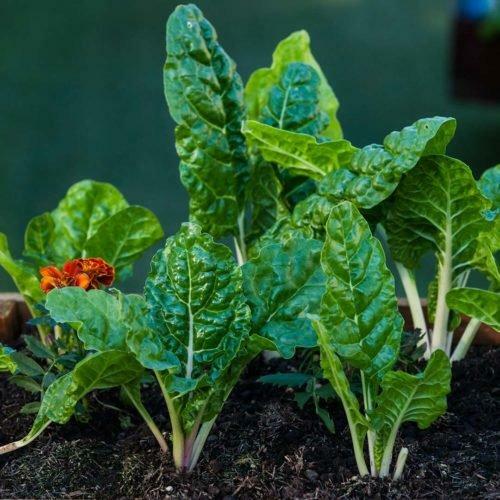 Easy growers include: loose-leaf lettuce, bush beans, radishes, spring onions, cherry tomatoes, nasturtiums, peas, rocket, beetroot and Asian greens like mizuna and bok choy. Remove stones, weeds and soil clods. Dig, lift and turn the soil with a shovel. Mix in plenty of compost and seedling food to make sure your soil is rich and fertile. Water the cultivated soil and allow it to sit for a couple of days, allowing the compost to break down before planting. Small seeds like lettuce and carrots often clump together, making them difficult to sow evenly. Solve this problem by making homemade seed tape, temporarily attaching the seeds to a surface that holds them in place while you plant (toilet paper and a non-toxic adhesive needed.) Level out the soil with a flat piece of wood, mist the soil with water, and sprinkle the seeds on top. Cover with a thin layer of compost and seedling mix, and mist with water again. Medium seeds like Swiss Chard grow nicely in furrows. Dig your furrows, making each furrow twice as deep as the diameter of the seed. Then carefully spread the seeds in the furrows, covering them with soil and watering them well. Large seeds like beans and squash are quick and easy to sow. Poke holes in the soil, twice as deep as the diameter of the seed, and drop the seeds in. Cover with soil, pat firm, and water well. Keep seeds moist until they germinate. After germination, reduce watering to encourage deep root development. Protect young seedlings from birds by erecting protective netting and ward off snails by surrounding seedlings with crushed egg shells or sea shells. If you sow your seeds too thickly, wait until the seedlings are about 7cm high before you thin them out.